Stephen Gerlach is a Company Director, Corporate Advisor, and Chancellor of the Flinders University. He was formerly the Chairman of Santos Limited, former Chairman of Futuris Corporation Ltd (subsequently changed its name to Elders Ltd), Equatorial Mining Ltd, Elders Australia Ltd, Challenger Listed Investments Ltd, Amdel Ltd and Penrice Ltd. He has also been a director of a number of other public companies including Southcorp Ltd, AMP Australia, Brunner Mond Holdings Ltd (UK), and Elders Rural Bank. 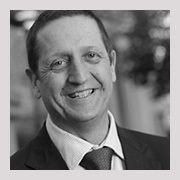 Stephen was a partner of the Adelaide legal firm Finlaysons for 23 years and its Managing Partner from 1985 to 1991. He has also been actively involved in a number of community and professional associations and is at the present time a member of the AICD and a member of the Corporate Governance Committee. He is currently a Trustee of the Australian Cancer Research Foundation, Chairman of Foodbank South Australia Inc, a Director of Foodbank Australia, and a Director of The Sir John Monash Scholarship Foundation. 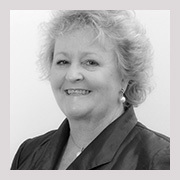 Bronwyn is president of Mental Health Carers NT, is the Treasurer, Secretary of the Mental Illness Fellowship of Australia, and is on the board of Mental Health Carers ARAFMI Australia. She has a psychology background and has worked in the funeral industry, in vocational rehabilitation, managed the NT palliative care program and still works in reproductive medicine while being the division director for Engineers Australia Northern Division. She has experienced mental illness at the front line with family members and hopes to make a difference for other families. Tony is the National Chief Executive Officer of the Mental Illness Fellowship of Australia (MIFA). For more than 35 years, Tony Stevenson has been committed to a viable and proactive health and community services sector which works alongside families and individuals to inspire self-confidence and hope. He has held CEO level positions with some of Australia’s most well-respected not-for-profit organisations as well as executive roles in the Commonwealth and State governments. Dr Stanley Catts is Professor of Psychiatry at the Royal Brisbane Clinical School, The University of Queensland. He played a formative role in the establishment of the Schizophrenia Research Institute in NSW, was Foundation Director of the Schizophrenia Research Unit at Liverpool Hospital, initiated a number of early psychosis programs, and currently chairs the Australian Psychosis Research Network which aims to develop a national program of priority-driven strategic research into schizophrenia and bipolar disorder. 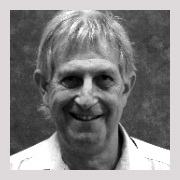 David is the Vice President, and immediate Past President of the Mental Illness Fellowship of South Australia, and the past Executive Director of the Mental Illness Fellowship of Australia (MIFA). 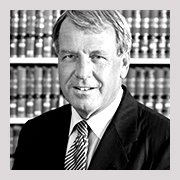 He has served on several other South Australian boards. Originally qualifying as a teacher, then as a social worker, he also holds a Master’s Degree in Public Administration. His professional experience includes government and non-government leadership roles in health, education and community services. These have included Chief Executive Officer of the South Australian Mental Health Services, the South Australian Dental Service and Metropolitan Domiciliary Care. From 2003-2006 he led the development and implementation of ‘Metro Home Link’, which has evolved as the basis for Australia’s largest range of hospital avoidance programs. David says ‘I hope my experience and profound admiration for the mental health sector and its people helps me to contribute useful advice on matters of policy, governance and the development of the Psychosis Australia Trust’. From 2000 to 2003, Professor Hickie was CEO of beyondblue: the national depression initiative, and from 2003 to 2006 served as its Clinical Advisor. In 2003, Professor Hickie was appointed as the Executive Director of the Brain & Mind Research Institute (BMRI). From 2008 to 2013, he is one of the first round of new NHMRC 2008 Australian Fellows and was appointed to the Federal Health Minister’s National Advisory Council on Mental Health and then, in 2010 to 2011, the Federal Ministers Mental Health Expert Advisory Group. From 2012, Professor Hickie has been appointed as a Commissioner in the new National Mental Health Commission to oversee enhanced accountability for mental health reform in Australia. 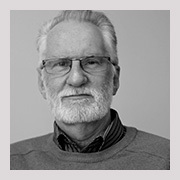 Rob originally trained as a social worker and has worked in mental health for well over 40 years. He has worked in a variety of roles, both within the NSW Health system and in the non government sector. He has worked in the Head Office of the NSW Department of Health as well as hospital and community settings. Rob has led the Schizophrenia Fellowship for 22 years. During that time it has grown from an organisation with one part time worker to one that has services across the state with over 260 staff and 44 offices. Rob has also led the major developments in recent years which have included the establishment of the Clubhouse Program of psychosocial rehabilitation, Carer Assist, a service for carers of people with a mental illness, the establishment of the Helping Hands Program and Onfire for young carers. He was a member of the Ministerial Priority Task Force and is a Member of the NSW Mental Health Tribunal. Rob was project director for the development of “The Schizophrenias: guidelines for an holistic approach to schizophrenia” (NSW Health 2001) and author of a number of publications. He was made a Member of the Order of Australia in 2007. Mick is known as an outstanding leader in our health system for over three decades. He has a national and international reputation as a public sector manager, as a reviewer of health systems, as a reformer of health agencies and as a planner of health services. 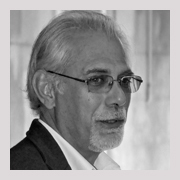 He currently works an independent consultant leading change in Australia and internationally. He is the former Director General of NSW Health, former Director-General of Queensland Health, former Chief of Staff to Nicola Roxon, author of the “Reid Report” review of the West Australian Health Department, and has worked advising to the WHO, a number of international Governments and corporate bodies in multiple countries, including Switzerland, China, New Zealand, Singapore, and East Timor.